The great outdoors awaits so dust off your walking shoes and discover some of the best Hiking Trails in the UK. There’s nothing like breathing in all that fresh air and these hiking trails will take you to places where you won’t believe your eyes! After a long day, feel right at home at some uniquely located B&Bs. With over 100 miles of hiking trails, the most ardent of trekkers will relish the wild Atlantic coastal hike along the Kintyre Way. 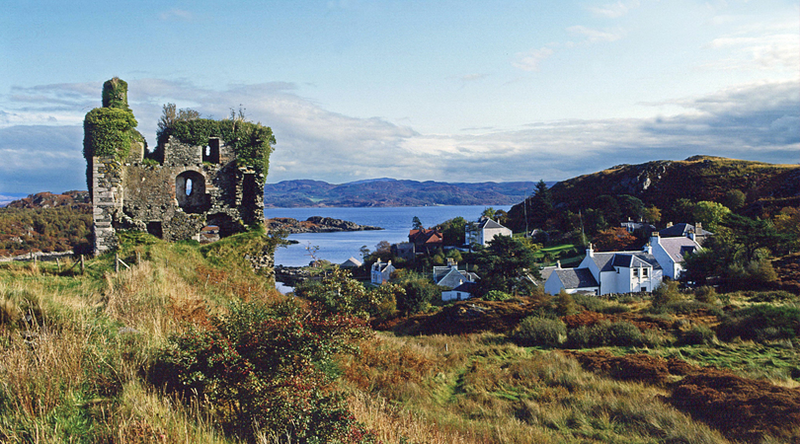 Starting off at Tarbert (2 hours from Glasgow) and ending up at the Mull of Kintyre, make a few days or a full week of it and discover hidden coves, deserted beaches, dense woodland, castles, fishing villages and an abundance of wildlife. A blood red sun setting over wild waves is your reward at the end of each day! 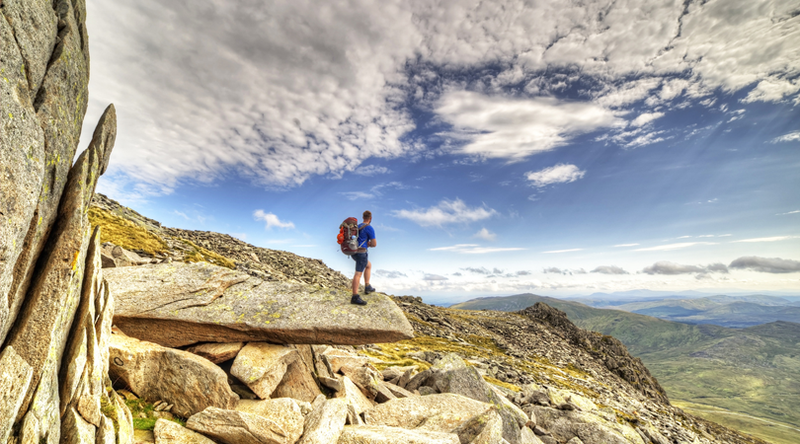 With over 2,000 miles of pathways, take your pick of hiking trails in Snowdonia National Park! Mount Snowdon is the biggest mountain in Wales and England meaning that you can ascend to its 1085m peak or select one of its many different hiking trails including The Llanberis Path, PYG Track, Miners’ Track, Watkin Path, Rhyd-Ddu Path and the Snowdon Ranger Path. Explore some more on a zip wire or surf on perfect waves in the UK’s first artificial wave garden. 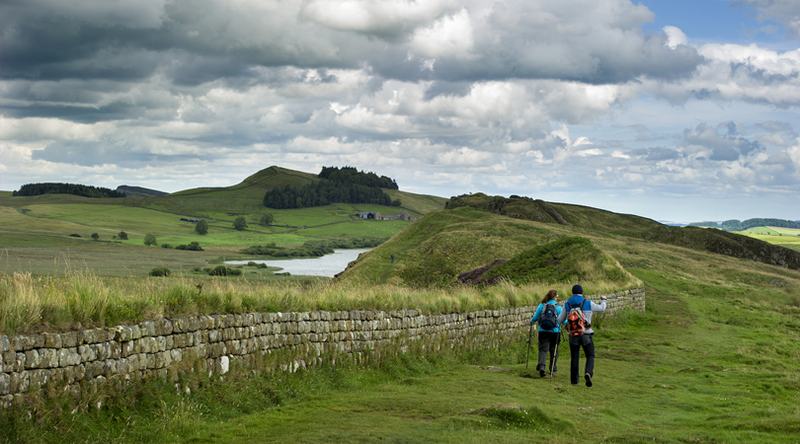 Walk the coast-to-coast National Hiking Trail along the line of the ancient Hadrian’s Wall and see some of the UK’s longest surviving man-made features, including Roman forts and castles. Start at Wallsend in Tyne and finish at Bowness-on-Solway, Cumbria crossing varied terrain, from rough moorland to easy-going fields. For most of its 84 miles the hiking trail crosses natural grass finally turning into city pavements. Picturesque lochs, countryside parks, open moorlands and steep mountains make up the 96-mile long West Highland Way as one of the UK’s top hiking trails. Beginning at Milngavie, only 6 miles from Glasgow, and concluding at Fort William, hiking trails are broken up into 13 sections meaning that you can choose either short or longer walks depending on your stamina. 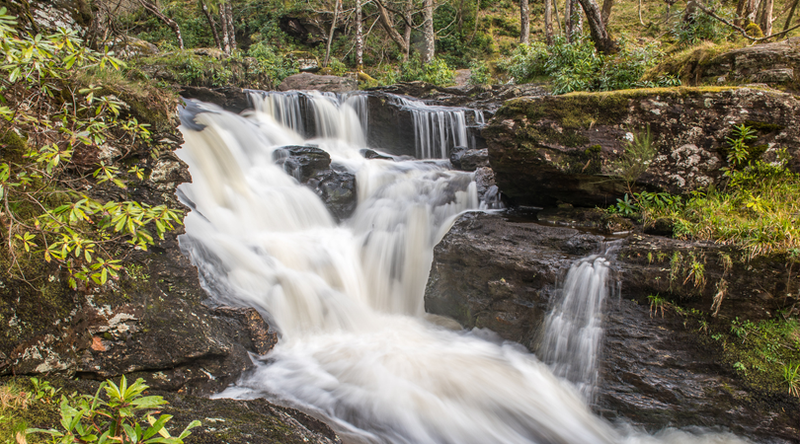 Don’t miss the spectacular cascade of Loch Lomond where the waterfall plunges to a depth of 620 ft. 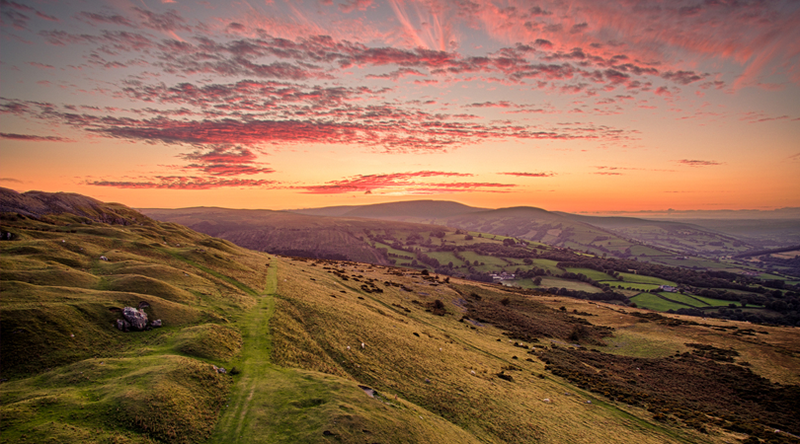 Both serious outdoor enthusiasts and families can unleash in the Brecon Beacons with diverse hiking trails unravelling high country, deep gorges, lakes, spectacular waterfalls and beautiful wildlife. For breathtaking views of nearly the entire national park, don’t miss the vantage point on the 886m summit of Pen y Fan. As one of the world’s only seven Dark Sky Reserves, look up each night and lose yourself to a feeling of never-ending infinity. As one of the UK’s newest National Parks, the South Downs’ 100 miles of hiking trails stretch across Sussex from Winchester to Eastbourne. 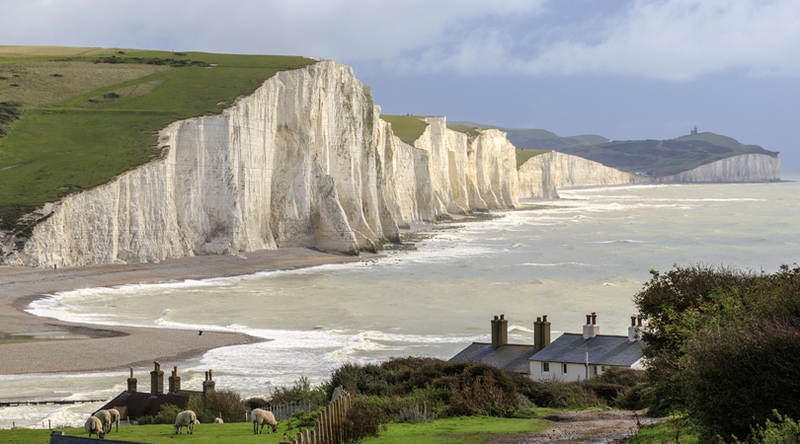 Take your time to marvel at the views from Beachy Head and the Seven Sisters, where carved white cliffs stand strong against the test of time. Don’t miss the 226ft Long Man of Wilmington etched into the hill side. Enjoy some afternoon tea or a refreshing pint in the quaint village of Alfriston.